How to configure Java for playing games. 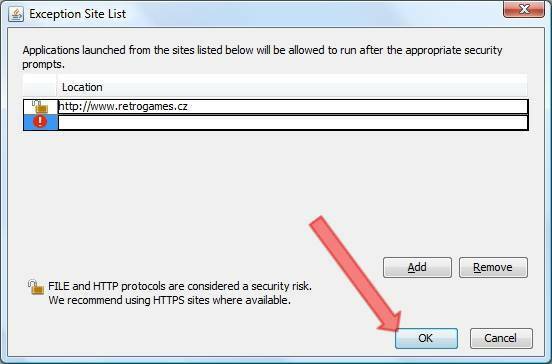 To launch the games on our site, you should have a properly installed and correctly configured Java. 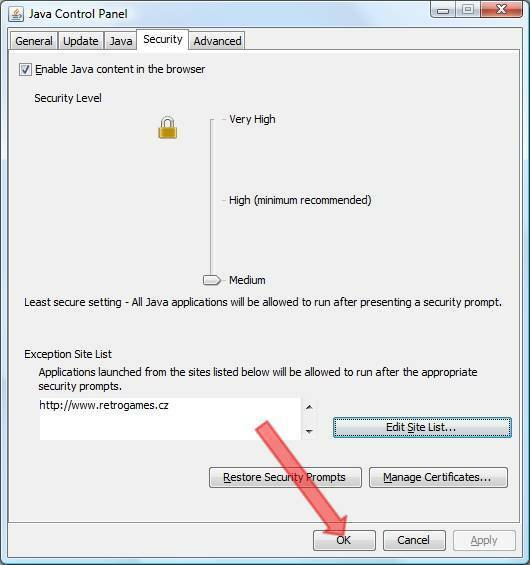 Please note that since September 2015 Java does not work in Google Chrome. If you want to run the games through Java emulator, use another browser eg. Internet Explorer or Mozilla Firefox.The latest version of Java for free can be downloaded from www.java.com. 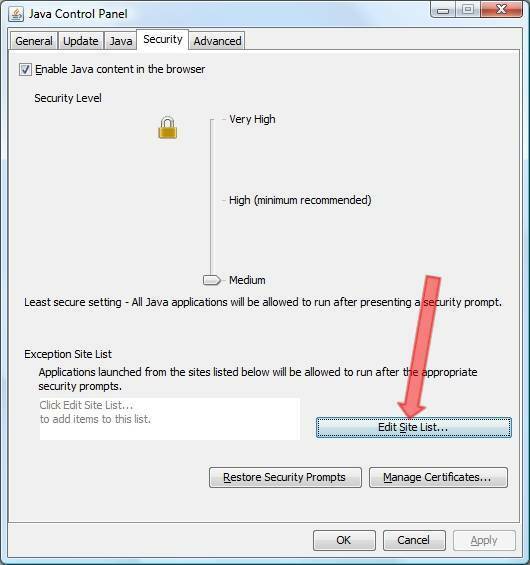 After installation, configure Java according the following instructions. 1) In the Start menu, open the Control Panel and select Java. 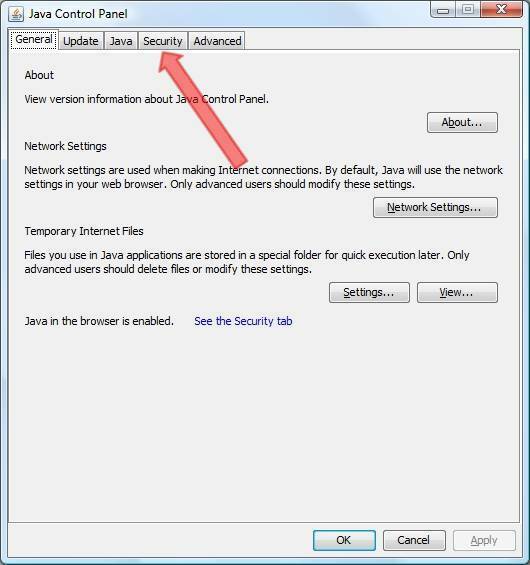 2) In the newly opened Java Control Panel window, select the Security tab. 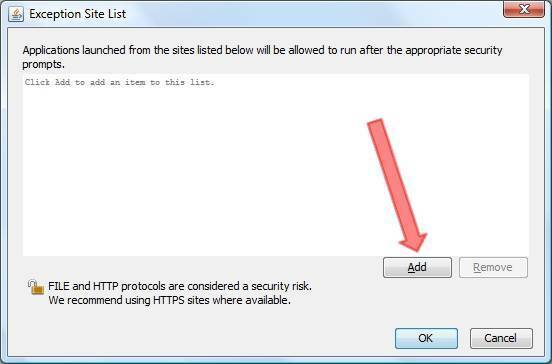 4) ... and then click Add. 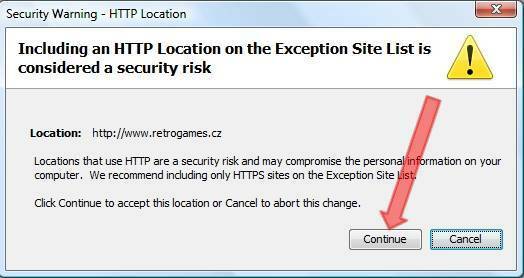 5) In the Location line type http://www.retrogames.cz and then click again on the Add button. 6) Security Warning will appear. To confirm it click Continue. 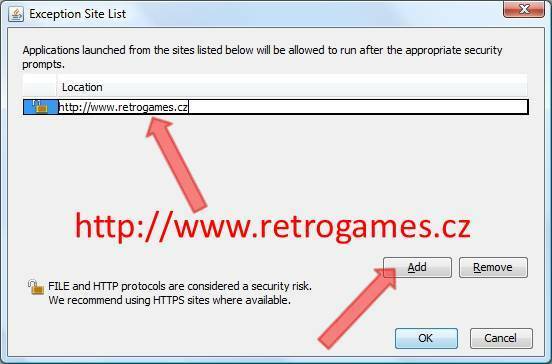 7) Adding RetroGames.cz to the Exception Site List will be completed by clicking OK.
8) Confirm the changes made to the settings by clicking OK.
Congrats. You have successfully configured Java for playing games on our site.